October 9, 2018 — The Postal Service is offering suggested mail-by dates for customers who want to send holiday letters and packages to diplomatic and military service members overseas. 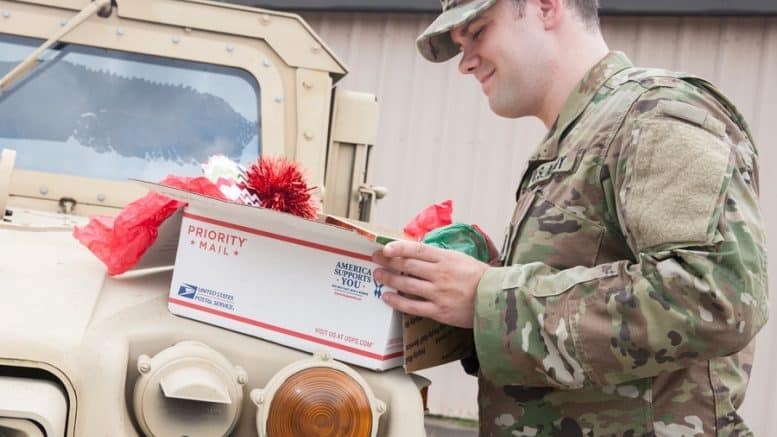 The dates are listed in an Oct. 9 news release, along with details on ordering free military care kits and guidelines for addressing packages to Army/Air Post Offices, Fleet Post Offices and Diplomatic Post Offices. USPS is also offering a reduced price on its largest Priority Mail Flat Rate Box for mail sent to military and diplomatic posts abroad. Customers can obtain free Priority Mail Flat Rate Boxes from Post Offices and the online Postal Store, while postage, labels and customs forms can be printed online using Click-N-Ship. The USPS Holiday Newsroom site has more information.